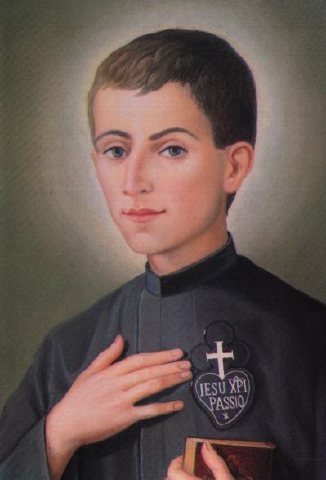 Laus Crucis introduces us to yet another holy young Passionist: Blessed Pio (Campidelli) of Saint Aloysius. In many ways, Blessed Pio reminds me of Blessed Marie–Joseph Cassant, the young Trappist of Sainte–Marie–du Désert. Pio Campidelli was born at Poggio Berni (Forli) in Italy on April 29, 1868. He entered the Passionists in his fourteenth year. The young Pio was drawn to the Mother of God, to the mystery of the Eucharist, and to Jesus Crucified. His way of holiness was fidelity to ordinary things with an extraordinary love. Pio received the Minor Orders and, after offering his life for his beloved native region of Romagna, died on November 2, 1889. He was twenty–one years old. The medallion of Saint Martin de Porres is the work of the Dominican priest and sculptor, Father Thomas McGlynn (1906–1977). 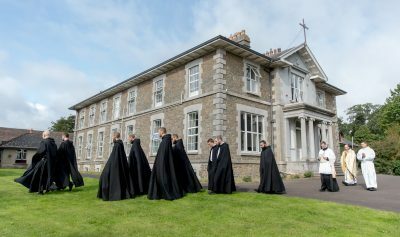 Father McGlynn’s strong images of Saint Martin contributed in no small measure to the rise of devotion to him which led to his canonization in 1962. His head will be raised in glory (Ps 111:9). as to be found worthy of a place with him on high in heaven. to the Lord we pray: Christ, hear us. R. CHRIST, GRACIOUSLY HEAR US. The Church’s prayer for the dead has, for centuries, been crystallized in a single verse drawn from second chapter of the little known Fourth Book of Esdras. 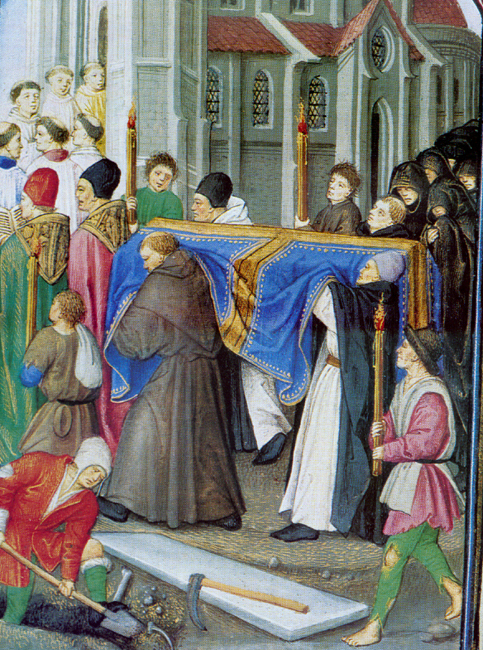 Even non-believers know at least the first word of the introit of the Mass of the Dead: Requiem aeternam dona eis, Domine: et lux perpetua luceat eis. “Eternal rest grant unto them, O Lord, and let perpetual light shine upon them” (cf. 4 Es 2:35). The word “requiem” has passed from sacred usage into the secular realm, becoming part of the vocabulary of poets and novelists, of dramatists and journalists. and let the radiance of your light shine forever upon them (cf. 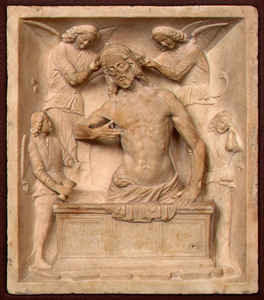 2 Es 2:35). V. To you our praise is due in Zion, O God. to you all flesh will come (Ps 64:2-3). the joys of eternal blessedness.